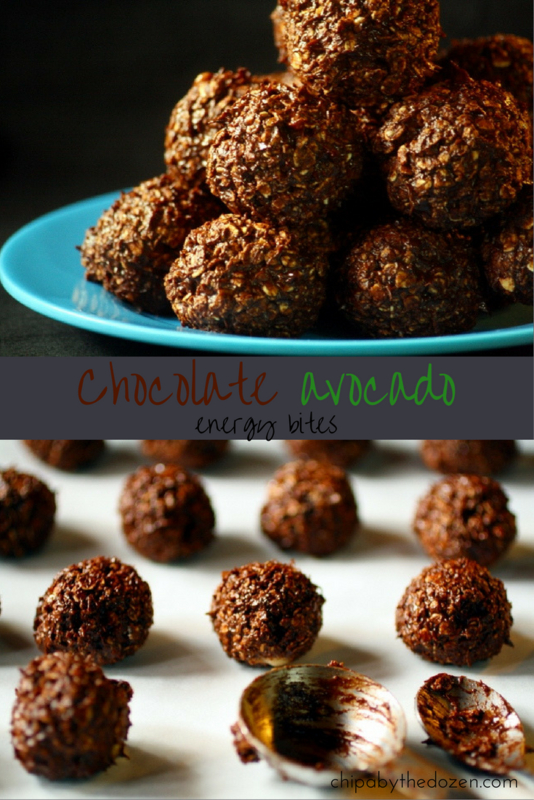 These chocolate avocado energy bites are creamy and so delicious. Once again, this year our friends shared with us their delicious avocados. 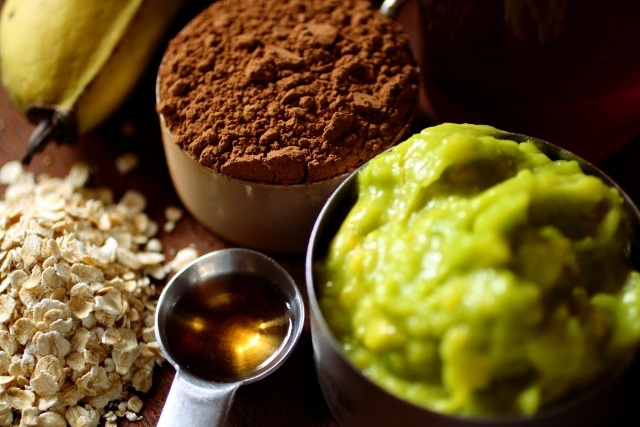 With so many avocados, I decided to try and make some dessert like recipes. This time, something healthier than the avocado fudge I made a few years ago. These energy bites came out of a recipe failure. 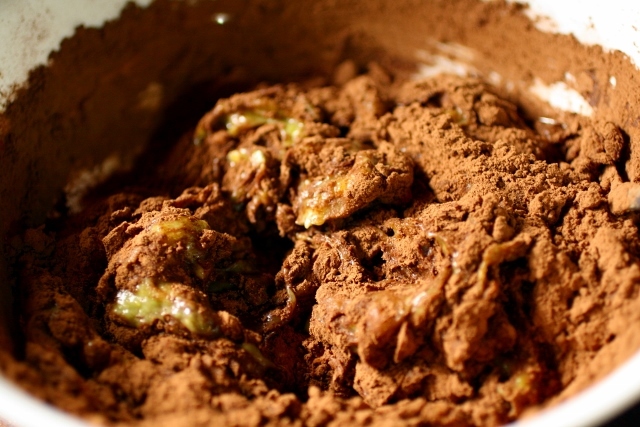 I was trying to make something more like a healthy fudge or some truffles. But the mixture was too wet and my options were powder sugar or oats. So oats where the solution. It ended up being an energy bite perfect for a snack. When my boys tried it they asked me if they were healthy, why? I asked. Because you’re giving us chocolate for snack! Hahaha. They got me!! 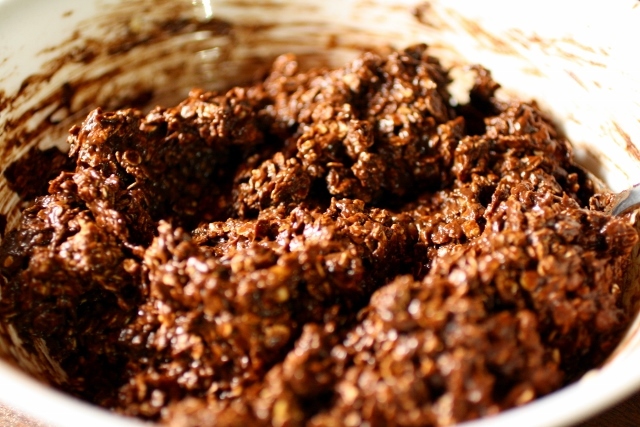 You´re gonna love making these chocolate avocado energy bites. With just a few ingredients and only 5 minutes, you´ll have something nutritious, low in sugar and very yummy to enjoy with your family. 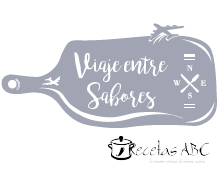 They´re so creamy, just like fudge! :). 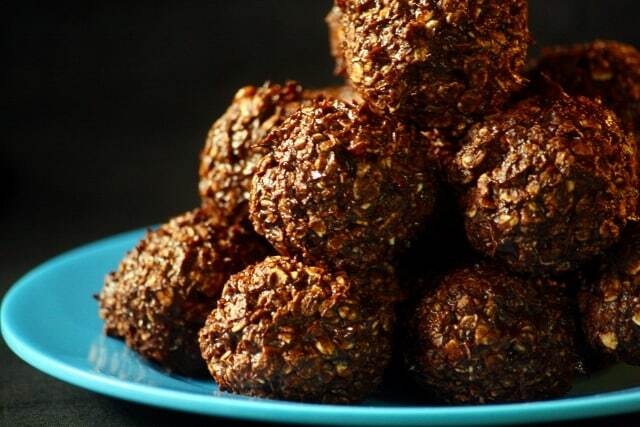 The first time I made these bites, I used very ripe bananas and there was no need to add any honey. I recommend that you mix all the ingredients and try it first before you add honey or another kind of sweetener. There are many different kinds of avocados. Some more creamy and some contain more water. If your mixture is too wet, just add more oats, enough to form little balls. One of the variations I made a few weeks ago and that is by far my favorite, was to add half a teaspoon of orange peel. After forming the balls keep them in the refrigerator until firm. Although my favorite way to eat them is at room temperature. They´re creamy and you get chocolate all over your fingers, and of course, you get to lick them ;). In a medium bowl, add all the ingredients and mix. 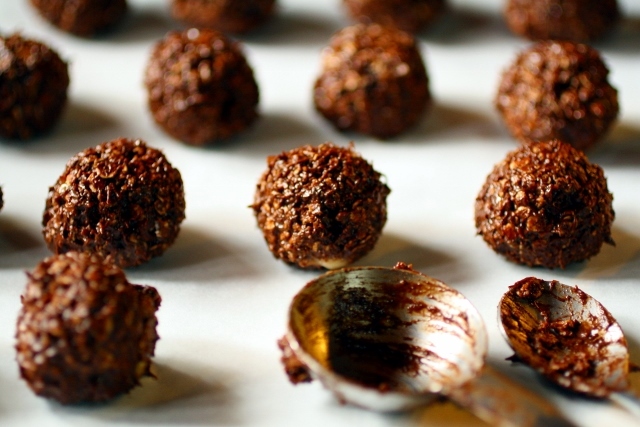 With the help of a measuring spoon, form little balls and set them on wax paper. Refrigerate for about an hour before serving. The rest, store in an airtight container and keep in the refrigerator for up to 5 days. I would never think to pair chocolate and avocado. I’m going to have to give this a try! The avocado flavor is very subtle, but helps with the texture. Yes, very easy to make. In just a few minutes you get a healthy snack. I love energy bites, never tried with avocado before though! Will definitely try! Looks like I will be headed to the store for some cocoa powder!! 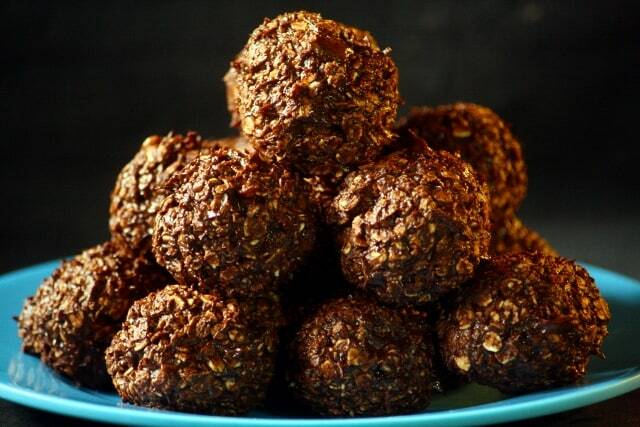 These look absolutely amazing and so healthy!! I love it! Yummy! But avocado is such a rarity where I stay… can it b done with anything else? Hmm. Never made it with anything else. But I’ll try it with just bananas and let you know how it turns out. Or if you try it let me know. I love energy bites! I never thought to use avocado in them. Do they need to stay in the fridge at all times after making them or are they safe to keep on the counter? Hey Kate! Avocados makes these bites so creamy 😋. I always keep them in the fridge, but they only lasts 2 days at our house. We live in a very hot country and keep everything in the fridge. The avocado is a lovely addition to a bite!